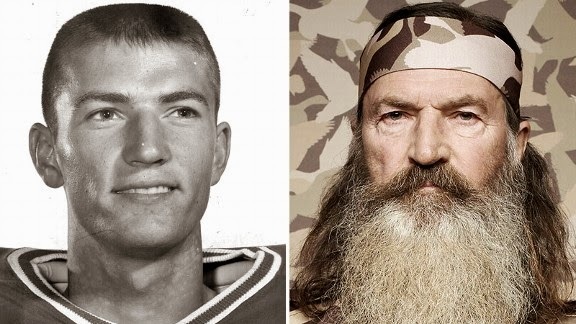 In case you didn't already know, Duck Dynasty patriarch Phil Robertson was the starting quarterback at Louisiana Tech back in the 1960s. 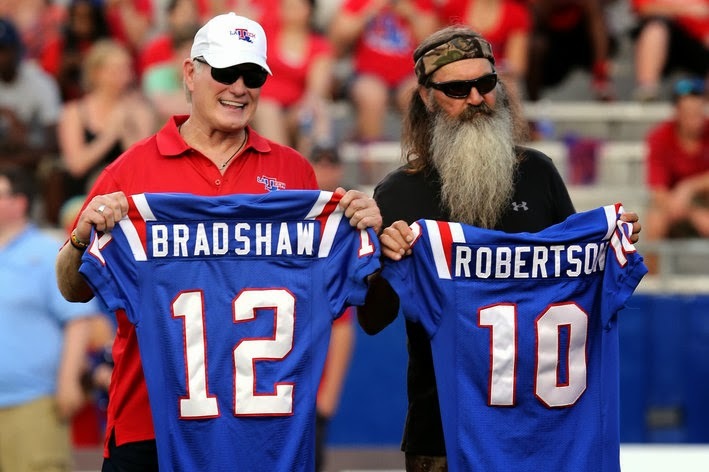 Robertson's second-string backup was some guy named Bradshaw something or other. The school honored the two former players during a home game last month.